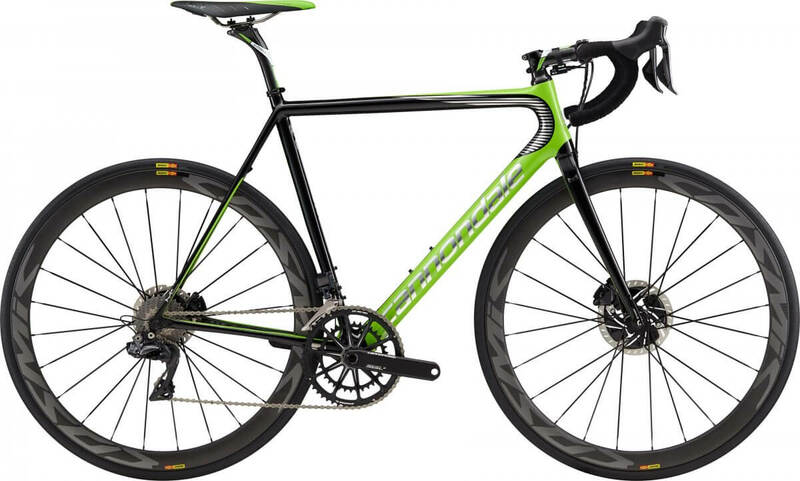 The Cannondale Supersix Evo Hi Mod Disc Team Di2 is the prefect performance road bike. Supplied with Shimano Dura Ace Di2 and Mavic carbon cosmic wheels. The frameset is manufactured using the Ballistec Hi Mod carbon fibre resulting in both a stiff, efficient and comfortable ride. Hubs Mavic Cosmic Pro Carbon SL Disc 100x12mm thru front 135x9mm QR rear.